Seventeen days after the People’s Action Party (PAP) was returned to power with 69.9 per cent of the vote in the Sept 11, 2015 General Election, Prime Minister Lee Hsien Loong chaired a press conference to announce his new Cabinet. Growth in the manufacturing sector slowed to 3.5% from 10.7% in Q2. A Singapore digital therapeutics company is teaming up with a top US hospital in an innovative plan to use data from wearable biosensors to help improve the level of care patients receive at home. Singapore’s political leadership model is “one of continuity”, and this can be expected in the upcoming transition at the highest ranks, Trade and Industry Minister Chan Chun Sing said yesterday. Higher inflation is likely to trim average real pay increase in Singapore to 2.6 per cent in 2019, down from 2.9 per cent this year, according to a survey conducted by ECA International. Less than two hours before she was to board a flight out of Singapore to Kuala Lumpur on Malaysian budget airline Firefly, Ms Crystal Wong found out on Thursday (Nov 22) that the airline will be suspending its services from the start of next month. (Which means, well, the next election will only come after that.) The next General Election (GE) will introduce counting machines used to tally your votes that will see polling results announced up to an hour earlier. Executive roles in life science and tech sector are poised to enjoy the biggest raise. Singapore’s economy grew at a slower pace than initially thought in the third quarter, data showed on Thursday, with the trade ministry flagging growth will likely moderate further in the current quarter and next year in part due to the US-Sino trade war. The world’s biggest economies are at loggerheads but Singapore’s exposure to the US-China trade war is small, an official analysis has found. Singapore and the Netherlands share a “common commitment” to multilateralism, free trade and the rule of law, said President Halimah Yacob during a state banquet hosted by King Willem-Alexander and his wife Queen Maxima on Wednesday (Nov 21) in Amsterdam. More talent and effort is needed to grow the deep tech industry in Singapore, said Finance Minister Heng Swee Keat on Thursday (Nov 22). Collectively, Mediacorp reaches the widest audience, gaining 1.2 per cent share from the last wave to command 78 per cent share of the market. Singapore’s ruling People’s Action Party (PAP) will likely name finance minister Heng Swee Keat as its first assistant secretary general, media said on November 22, indicating the 57-year-old career public servant is poised to become the city state’s next prime minister. Singaporean Finance Minister Heng Swee Keat is set to be appointed the first assistant secretary-general of the ruling People’s Action Party on Friday, a job that paves the way for him to become the leading contender for the position of prime minister after Lee Hsien Loong steps down. The leadership model in Singapore is “one of continuity”, and this can be expected in the country’s upcoming transition at the highest ranks, said Trade and Industry Minister Chan Chun Sing on Thursday (Nov 22). We are delighted to hear from and encouraged by people like Miss Cheng Woon Jo (Greater inter-stakeholder relationship can reduce plastic waste; Nov 19). Amnesty International has joined the human rights activist groups who have weighed in on the recent police action against local socio-political website The Online Citizen and its editor, Terry Xu. Singapore’s news website, The Independent Sg (ISG), has been sued for defamation by the government business conglomerate NTUC over several articles claiming that a hawker died from overworking. NTUC Foodfare said on Wednesday (Nov 21) that it will take legal action against The Independent Singapore. A co-founder of Batam-based radio station Hang FM, Zein Alatas, has been denied entry to Singapore because of his alleged affiliations with the Salafi group, an ultra-conservative movement within Sunni Islam. Workers in manufacturing and trade may face more uncertain job prospects given slower economic growth forecast for next year but opportunities are likely to remain good in sectors such as fintech and healthcare, say experts. Looking for the world’s best airport? Then cast your eyes toward Singapore, where the city-state’s Singapore Changi Airport regularly rates as one of the best on the planet. Like their seniors in the previous two years, the class of 2018 has seen 98.4 per cent of pupils who took the Primary School Leaving Examination (PSLE) doing well enough to progress to a secondary school. SGInnovate, Singapore government-owned innovation platform, has announced its investments in three deep-tech startups – Horizon Quantum Computing, Involt and Portcast – as part of its efforts to support the ecosystem in the city-state. The Singapore flag flew high over Amsterdam’s historic Dam Square yesterday morning as President Halimah Yacob was given a ceremonial welcome to the Netherlands. Large, complex structures are not designed to move quickly and be ‘agile’. Investors can soon freely move capital in and out of their countries. Malaysia and Singapore shares held steady in thin trade Thursday as investors retreated to the sidelines monitoring domestic corporate news ahead of Thanksgiving market holiday in the U.S.
CPH, an SGX Catalist-listed manufacturer of printed circuit boards, on Thursday announced that it has agreed to acquire Singapore fintech startup oCap Management for S$61.8 million ($45 million) in a reverse takeover deal. Singtel TV has secured the Premier League’s broadcast rights in Singapore over three seasons starting August next year, announced the company on Thursday (Nov 22). A row of eight single-storey hospital buildings with blue roofs stand on a hill at Moulmein Road. 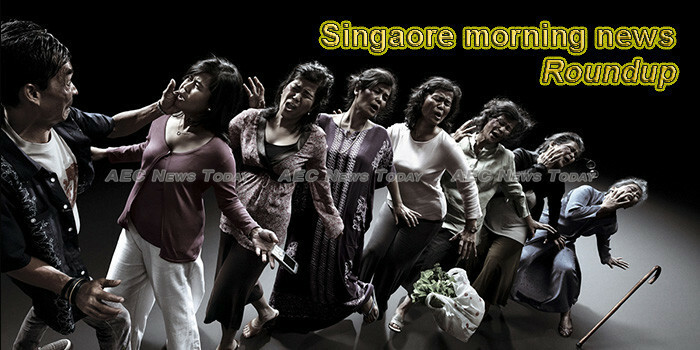 Although they would not look out of place in a war movie, few people in Singapore even know about their existence. Grab has unveiled its first batch of five startups from its accelerator programme while IMDA has decided to provide seed funding to boost blockchain adoption among Singapore enterprises. Sendhelper, a Singapore-based online jobs search platform for blue-collared workers with plans to foray into India, has raised around $500,000 in seed funding from Asian technology investor Captii ventures. Global private capital platform CapBridge has received approval from the Monetary Authority of Singapore (MAS) for its associated entity, CapBridge Platform, to operate a securities exchange as a recognised market operator (RMO) in Singapore. After the hustle and bustle over Singles’ Day, retailers are gearing up for yet another weekend of sales – the American shopping affair, Black Friday, happening this year on Nov 23. From the age of 13, Ranjitha Ramachandran was taken to army events like open houses, half marathons and unit dinners by her father, an army regular. It was driven by the 12.6% YoY growth in the non-electronic segment. SINGAPORE’S economic growth next year is likely to ease from the pace recorded this year, weighed down by moderating global demand for electronics and the impact of the ongoing trade war. PROPOSED changes to have civil litigation costs fixed to a scale have been dramatically withdrawn – for now – following a townhall held last evening. A total of 12 MRT stations along the East-West Line (EWL) and North-South Line (NSL) will close earlier at about 11pm every Friday and Saturday between Nov. 30 and Dec. 15. A 34-year-old business class passenger on Scoot was sentenced to three weeks’ jail on Thursday (Nov 22) for molesting a cabin crew member on a flight from Sydney to Singapore on Aug 8. Global growth is expected to moderate as stimulus tailwinds weaken and output gaps close but tactical opportunities can still be identified in unfavoured assets and emerging markets, says T Rowe Price Group Inc in its outlook for 2019. THE Prime Minister’s Office (PMO) and the Ministry of Home Affairs (MoHA) of Brunei Darussalam yesterday welcomed Ministry of Home Affairs (MHA) of Singapore officers at the launch of the 4th Joint Training Exchange Programme for senior officers at the MoHA building in the capital. IN A bid to grow the blockchain ecosystem in Singapore, the Infocomm Media Development Authority (IMDA) is putting up seed funding for industry players to develop platforms that connect blockchain special interest groups, solution providers and other related services providers. Arcadier aims to introduce immutability, transparency and decentralisation to the global B2B and B2C e-commerce markets, while enhancing trust through blockchain. Workers in manufacturing and trade may face more uncertain job prospects given the slower economic growth forecast for next year, but opportunities are likely to remain good in sectors such as fintech and healthcare, say experts. Shared e-scooter company Lime has begun rolling out its personal mobility devices (PMD) into Singapore, through a partnership with property developer Ascendas-Singbridge. Temasek, Singapore’s investment company, is setting up new groups to explore opportunities in artificial intelligence (AI) and blockchain technologies. Good news for those who hate eating greens. Malaysian budget airline Firefly will suspend all flights into Singapore from Dec 1, it said on Thursday (Nov 22) in response to media queries. Singtel TV has won the rights to broadcast Premier League matches for the next three seasons to Singapore fans. Bookings for Singapore Airlines (SIA) in the coming months are expected to be stronger y-o-y but headwinds continue to persist in the form of cost pressures arising from elevated fuel prices and keen competition, says OCBC Investment Research. Can Haw Par Corporation Ltd afford to pay higher dividends? Haw Par Corporation Ltd (SGX: H02) is the maker of the Tiger Balm brand of ointment. Other than its healthcare arm, it also has strategic stakes in UOL Group Limited (SGX: U14) and United Overseas Bank Ltd (SGX: U11). The police and DBS Bank warned on Thursday (Nov 22) of a resurgence in phishing SMSes purportedly sent by DBS or POSB. The “Heng Swee Keat as Prime Minister” hype-train has started. After factoring in higher inflation of 1.4% as predicted by the International Monetary Fund (IMF), the average Singaporean employee is expected to see a real salary increase of 2.6% in 2019 – down from the 2.9% increase received in 2018 and slightly below the Asia Pacific average of 2.7%. Despite a change of analyst, Phillip Capital is maintaining CapitaLand at “accumulate” with a lower target price of $4 compared to $4.19 previously, translating to a FY18E P/NAV ratio of 0.72 times. nstaReM, a Singapore-based digital cross-border payments company, has secured US$20 million in the first tranche of its US$45 million Series C funding round, led by new investors MDI Ventures, the VC arm of Indonesia’s Telkom, and Beacon Venture Capital, the VC arm of Thailand’s Kasikornbank. Singapore’s ruling party is set to unveil new posts within its top decision-making body on Friday in what could give a strong hint about who will become only its fourth prime minister, with domestic media saying the finance minister is the frontrunner. StarHub profits are poised to grow at a CAGR of 7% from 2018-2020. Budget airline Scoot will be taking over a number of SilkAir’s routes over the next two years ahead of the latter’s merger with Singapore Airlines (SIA), an announcement revealed. Singapore Airlines said on Thursday its budget carrier Scoot will take over several routes from regional airline SilkAir over the next two years, ahead of a plan to absorb underperforming SilkAir into the parent brand. Sydney-based fund manager AIMS Financial Services Group and its affiliates have proposed to buy out its partner’s 50 per cent stake in the management entities of AIMS AMP Capital Industrial REIT (AA REIT), it said in a statement on November 21. Ground engineering contractor Keller Group Plc said on Thursday (Nov 22) it would exit its heavy foundations activities in Singapore and Malaysia and scale back in Brazil and South Africa, leading to 700 job cuts. COSCO Shipping Ports and PSA Corporation Limited have signed a memorandum of understanding for the addition of two new berths at the COSCO-PSA Terminal in Singapore. Yet another online site for property hunters was launched on Wednesday (Nov 21), with a difference: Users will be able to narrow their search to hone in on certain features of a property and its neighbourhood. Three Singaporeans, including an insurance agent, were charged in the State Courts yesterday over their alleged roles in a bribery case linked to performance bond guarantees for Indonesian maids. Indonesian domestic helper Maryani Usman Utar, who pleaded guilty to causing the death of a toddler in her care, was convicted on Thursday (Nov 22) in the High Court and jailed for seven years. In a display of strength and balance, Singapore Civil Defence Force’s (SCDF) First Warrant Officer Muhd Bukhary Abu Bakar pulled himself across a rope suspended about 6m from the ground during a practice run of the Singapore-Global Firefighters and Paramedics Challenge on Thursday (Nov 22).